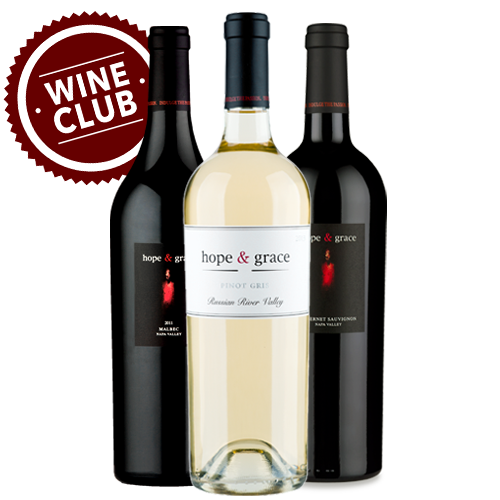 Become a member of hope & grace's SIP wine club to get a tantalizing taste of what hope and grace has to offer! Club members will receive 4-5 shipments per year of wine, each highlighting current release offerings. Your average shipment will be approximately $125.00 - 135.00 + tax if applicable and a flat shipping rate of $20.00 per shipment, which will include between 2-3 bottles per shipment. Red and white wines.